After introductions, it went straight to questions. Q: What do you look for in a writer? Nicki Richesin: Professionalism, no ego, an understanding that a project may not sell. I want a long-term writer, not someone with just one book. Monica Odom: Someone with business savvy and connections they can leverage. A platform. Patricia Nelson: Willingness to revise. Q: What are some of the biggest mistakes writers make in pitching? Carlisle Webber: They pitch or query too soon, before the book is ready. Gordon Warnock: A good book is worth waiting for, so take the extra time to make it right. Laurie McLean: Querying every agent they can find instead of doing their research to see if the agent even reps their genre. Stalk agents on social media to get a feel for them. Look at AgentQuery.com or join PublishersMarketplace.com for information. And don’t send to 100 agents at once. Do batches of about 10 at a time. Q: Can you clarify some of the genre definitions, like “literary” versus “commercial” or “upmarket”? Patricia Nelson: Literary tends to be about a character’s journey. Commercial is more plot focused. Upmarket is a blend of the two. Q: An author asked that, since she’d produced a book trailer and had a Facebook following, was it worthwhile to pursue traditional publishing? Laurie McLean: I used to think people had to pick a path. If they self-published, then that was it, that was all they could do from then on. I’ve since changed my mind. Publishing is a ladder; there are many rungs. Each book is a new choice. 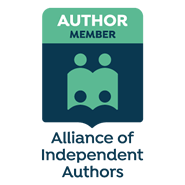 I’d suggest setting a goal: “I’m going to query X number of agents, and if that doesn’t work, I’ll self-publish,” or, “I’ll query for X months, and if that doesn’t work I’ll self-publish.” That said, each agent feels differently. Not all will want to consider a self-published author. Patricia Nelson: Self-publishing is like a sailboat. You have a small crew, or maybe you’re even sailing alone. You can’t go as far, but you can move faster and turn on a dime. Everything is up to you. Traditional publishing is like being on an ocean liner. Lots of people to help you, and you can go farther, but it’s much slower and hard to turn around. You don’t have much say in where it’s headed. Q: If I’ve published with a small publisher, what are my chances of getting an agent and a traditional deal? Amy Cloughley: You’ll need a brand new project if you want to change houses, but at least you have some experience in publishing now. Q: I’m not sure if my book is fiction or creative nonfiction. Nicki Richesin: You need to be reading more if you don’t know where in the bookstore your book belongs. Gordon Warnock: And we want authors who can write more than one book [in one genre]. So ask yourself where you want to “live” in the bookstore. Q: Since several of you are from the same agencies, is it okay to pitch more than one of you? Nicki Richesin: If only to practice your pitch, sure. Taylor Martindale Kean: You can pitch and decide who to submit to. And you can check guidelines; some agencies allow you to pitch another agent if the first one passes, but some don’t. Q: What if I want to pitch myself to an agent rather than just a book? Like, I want an agent to help with my overall career. Carlisle Webber: I wouldn’t talk to you if you didn’t have a fresh project. You need to have a product to sell, not just yourself. Taylor Martindale Kean: Maybe in nonfiction? You’d just need a proposal and you’d be pitching your experience. Patricia Nelson: An agent only gets paid when he or she sells something, so you need something to sell. Laurie McLean: That said, some agents will sell just the sub-rights to a project. Meaning, if the book is already published, the agent might just sell the audio or film rights. Q: How many clients do you have and how did you find them? Gordon Warnock: We work with as many as we can. If you want to increase your odds, aim for newer agents at established houses. Amy Cloughley: Not all our clients have works coming out at the same time, there’s an ebb and flow, so we can sometimes add new clients when we’re not too busy. Lisa Abellera: I have only 8 clients. Two of them I found in the slush pile as an intern and chased them down again once I was an agent. That would be awesome to be chased down by an agent. I’m guilty about having books in several genres, and lately I’ve been entertaining a MG fantasy idea. Yikes if I decided to write that one! Thanks for sharing this with us.